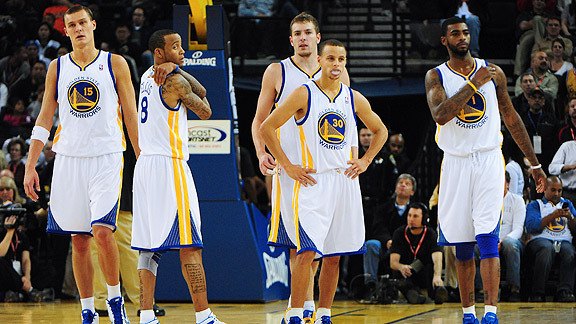 The Golden State Warriors start off the 2011-2012 season on Christmas day vs. the Clippers at home in Oracle Arena. The Warriors are facing a new-look Clippers team including new additions Chris Paul, Chauncey Billups, and Caron Butler. The Clippers are a well-rounded athletic team especially with players such as Blake Griffin, DeAndre Jordan, and Ryan Gomes. With a shortened season (only 66 games), the Warriors will have to get used to playing tough matchups at a faster pace. After playing the Clippers, the Warriors play the Bulls on Dec. 26th, the Knicks on the 28th, and the 76ers on the 31st, all at home. To view the rest of the Warriors schedule, click here. The Warriors starters this season are the same from last season, so there weren’t any personnel changes in that department. Stephen Curry is still the starting point guard, Monta Ellis is the starting shooting guard, Dorell Wright is the starting small forward, David Lee is the starting power forward, and Andris Biedrins is the starting center. Last season, the Warriors had a horrible bench that wasn’t productive enough to relieve the starters of some minutes. This season, the bench is much more well-rounded and should be more productive in all statistical categories. The backup point guard position is yet to be determined, but it will either be Charles Jenkins or Ish Smith. If Stephen Curry is unable to play in the season opener because of the sprained right ankle he sustained during Tuesday’s preseason game, then one of these two point guards will most likely start in his place. 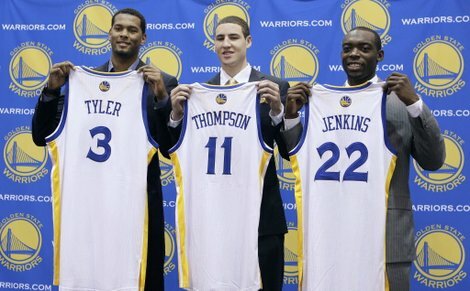 The first guard off the bench will most likely be Klay Thompson. The rookie shooting guard/small forward had a miserable preseason shooting 6-25 from the floor, and 0-8 from behind the 3-point line. However, Mark Jackson and Warriors management expect big things from this rookie and believe the only way that he will improve and become effective is with consistent playing time. The next guard off the bench will either be one of the backup point guards or Brandon Rush, who the Warriors acquired in a trade that sent Lou Amundson to the Pacers. Rush is a shooting guard/small forward who is known as a great defender and rebounder. With Klay Thompson’s offensive abilities and Brandon Rush’s defensive prowess, these two guards will be a great combination for providing backup minutes for Monta Ellis and Dorell Wright. Dominic McGuire who can play both small forward and power forward will also come off the bench and provide lock-down defense and rebounding. Chris Wright, a training camp invitee who made the final roster, is also a small forward and power forward combo player who can provide backup minutes for Dorell Wright or David Lee. The first power forward/center off the bench will most likely be Ekpe Udoh, who hopes to follow up a promising rookie season with an even stronger sophomore season (hopefully injury-free). Kwame Brown will also fill in some backup center minutes along with Jeremy Tyler. These players will make up the Warriors general rotation throughout the season. I predict that the Warriors’ record this season will be 36-30. I believe this will also be good enough for the 8th playoff spot in the Western Conference. The Hornets and the Nuggets both made the playoffs last season, and I don’t believe that they will again this season. The Clippers, with their new and improved roster, will take one of those spots, so there will be one playoff spot available for the Warriors, Rockets, Suns, Minnesota, Sacramento, and Utah. The Warriors can beat out all of those teams, and will therefore earn the 8th spot in the NBA. The top 8 teams in the Western Conference will be (in order): Dallas Mavericks, Oklahoma City Thunder, L.A. Lakers, L.A. Clippers, San Antonio Spurs, Memphis Grizzlies, Portland Trail Blazers, and Golden State Warriors. The Warriors’ record will be good enough to make the playoffs, but the most important reason why the Warriors are good enough to make the playoffs is their improvement in depth. The Warriors’ bench is much stronger than it was last year because it is much more balanced. At each position there are at least 2 backups, and each bench player brings a different skillet than the other. For example, Dominic McGuire, Ekpe Udoh, and Kwame Brown are really known for their defense. Ish Smith is known for his speed, Charles Jenkins is known for his all-around game, and Klay Thompson is known for his amazing shooting ability. A strong bench that can play quality minutes is key to a team’s success. Another factor that will lead this team to the playoffs is their coaching staff. Mark Jackson is an inspiring leader that demands hard work. Read more about Mark Jackson here. In addition to an influential head coach, the Warriors are lucky to have some of the strongest assistant coaches in the league such as Mike Malone, Pete Myers, etc. This coaching staff also has various skillsets and, generally, has lots of experience coaching or playing in the NBA. Lastly, if the Warriors are to remain healthy throughout the season (especially players like Udoh, Biedrins, Lee, and Curry), they will definitely make the playoffs. If Stephen Curry is able to stay healthy, he will have a breakout season and will have a great chance at making the All-Star team (if the team has a good enough record). Based on all these factors, the Warriors are set to have a playoff-worthy season based on great defense, great coaching, and great chemistry. Over the past year or so, Bay Area teams have found ways to continue to surprise their loyal fans. 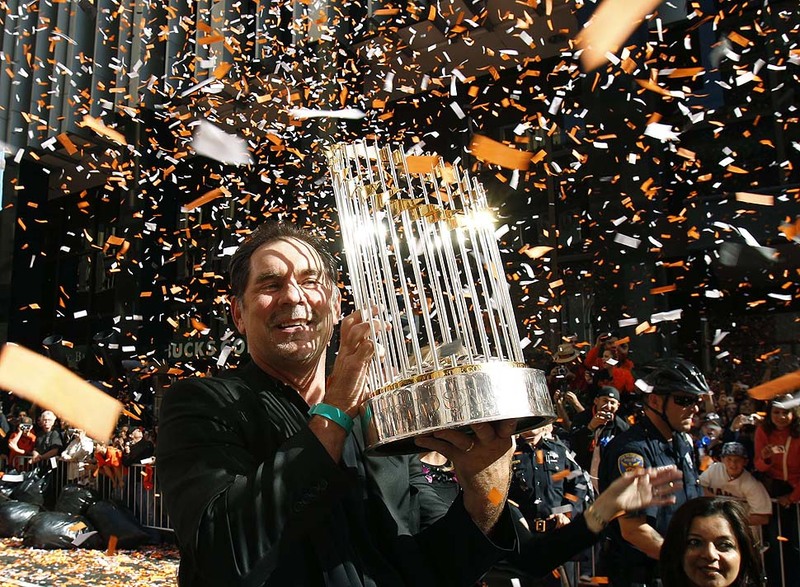 The San Francisco Giants were able to win the World Series in 2010 when no one (and I literally mean no one) picked them to win, let alone even make the playoffs. This particular Giants team was labeled a team of “misfits” or “castoffs,” but there was still this type of allure around them. They were the proverbial nerds, geeks, and loners on the playground that no one believed in or understood. The bullies were the Yankees and the Phillies of the world that believe that no one is ever going to be as great as they are. Giants fans were even stunned to see their local team beat the almighty Phillies and continue on to the pivotal World Series. They proved to be a team defined by great pitching and defense, ingenius coaching by Bruce Bochy, and amazing team chemistry. These are the main reasons why many teams win the World Series, but it was much more special with this team because of the fact that winning the World Series was so unexpected. So how does this connect to the 49ers? This season cannot properly be described as a “surprise,” because this particular word doesn’t do enough justice to what has been accomplished so far. Not only did no one expect this 49ers team to be any good, but no one expected this team to win the division. This 49ers team has a different appearance than any other 49ers team in the recent past. They have a tenacity, a determination, and a fun spirit about them that is so captivating. Like the Giants, they are a team defined by not only these particular traits, but great defense, creative coaching by Jim Harbaugh, and amazing team chemistry. This team, also like the Giants, plays with immense confidence despite having some “misfit” characters. These factors have lead the 49ers to a 10-3 record, which is tied for the 2nd best record in the NFC. Strong similarities can be seen in the stellar defenses of both teams. The starting pitchers (Tim Lincecum, Matt Cain, Jonathan Sanchez, and Madison Bumgarner) for the Giants had a collective 3.36 ERA during the regular season and maintained their excellence throughout the postseason. The starting pitchers had a collective 2.17 ERA during the postseason. This includes Matt Cain’s 0 earned runs allowed over 21.1 innings during the postseason. Madison Bumgarner, in his first postseason and first season as a starting pitcher, maintained a 2.18 ERA. Including the relievers, the Giants pitching staff had a 3.36 ERA throughout the season. The Giants defense also had a 98.8% fielding percentage, which ranked first out of all NL teams. 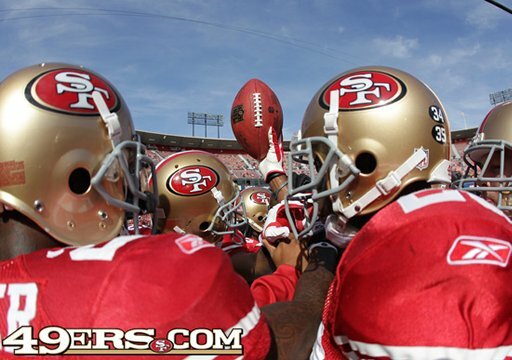 The 49ers defense has been regarded as the strongest asset that this current 49ers team has. With new additions Carlos Rogers, Donte Whitner, and other new starters such as Ahmad Brooks, Tarell Brown, and others, the 49ers defense consistently appears to be one of the strongest defenses in all of the NFL. They are ranked 1st in all the NFL in rushing yards allowed per game. In addition to that, the 49ers defense is ranked 4th in all the NFL is total yards allowed per game. Both of these stats are quite impressive and prove how strong this defense really is compared to other great teams. Although Bruce Bochy and Jim Harbaugh coach with different styles, they both have the ability to inspire a team and get the absolute best out of their players. Bruce Bochy is a calmer force and coaches much more lackadaisically. Bochy rarely argues calls, rarely yells at players, and always believes in his players. His approach to coaching is much more subtle, but he is known to make all the right decisions at the right time. Jim Harbaugh, in his first year as an NFL head coach, is a more fiery, passionate coach who is not afraid to show his emotions. He can often be too exuberant or excited though. For example, right after winning a rather significant game against the Lions, Lions’ head coach Jim Schwartz accused Harbaugh of “shaking his hand too hard” after the game. This is such a bogus argument that it requires no more description or analysis. Anyway, Harbaugh’s passion is inspiring and quite contagious amongst the players. Both coaches can be seen as their own versions of “players’ coaches.” They are both likeable and respected, but still admired for their high-quality coaching. They become a sort of father figure, and truly want and expect the best out of their players. This type of coaching style is often preferable and can often lead to winning results. In sports, chemistry cannot be forced. Chemistry occurs when players get along on and off the field and truly believe in each other and the system. The Giants were comprised of many players who other teams didn’t want, hence the names “castoffs” and “misfits.” This underdog mentality was definitely a reason why the players were able to bond off the field and perform extremely well together on the field. Here are some examples of the main castoffs on the team. The Giants were the only team to offer Aubrey Huff a deal before the 2010 season. Cody Ross was placed on waivers by the Marlins and the Giants only picked him up to avoid San Diego from acquiring him. Andres Torres was a career minor league player who never really hit his prime and had suffered from ADHD. Pat Burrell was cut from the Tampa Bay Rays after struggling in his role as DH and the Giants offered to sign him to a minor league contract with no guarantees. What’s ironic is that the biggest castoffs on this Giants team were the players that contributed the most to the success of the team. Aubrey Huff supplied constant offense throughout the season, Cody Ross defined clutch hitting, Andres Torres showed off his speed and defensive prowess in center field, and Pat Burrell provided power hitting that the Giants so desperately needed. The term misfits applies because no one would necessarily think that this combination of players would result in a World Series title. However, these players might not have traditionally fit together, but they did know how to have fun and, therefore, win together. The 49ers’ key example of a misfit is Alex Smith. Every 49ers fan knows his story. The 49ers selected him with the number 1 pick in 2005 (to this day I still believe the 49ers should have drafted the hometown kid, Aaron Rodgers), which was surprising and upsetting to most fans. Smith experienced many different head coaches, offensive coordinators, and various injuries, which all contributed to the general hatred of him amongst fans (talk about a misfit). Jim Harbaugh was brought in as the new head coach this past offseason, and everyone hoped this would finally be the end of the Alex Smith era. Sadly, this was not the case. Harbaugh decided to bring him back and resurrect his career. Fans were more than skeptical about this decision because he was an unproven quarterback and was thought to be overrated. 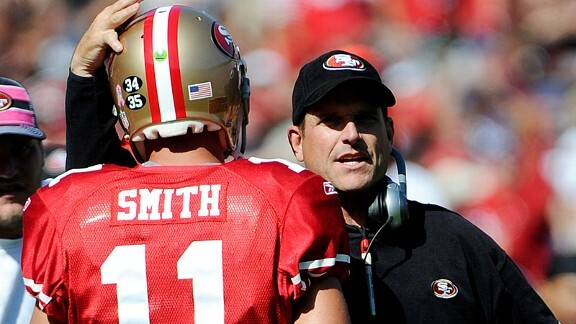 Harbaugh was the absolute perfect coach to help Alex Smith though. He’s a players’ coach, a former NFL quarterback, and he’s extremely smart and creative with his offense. With this mentoring, Alex Smith has become a relevant quarterback once again and has put him relatively good numbers all season. With a confident quarterback leading the way, the 49ers have great chemistry because they are all fierce competitors, hard workers, and talented players that all believe they can win every game. Sometimes a sport team can have more influence over others than one would think possible. 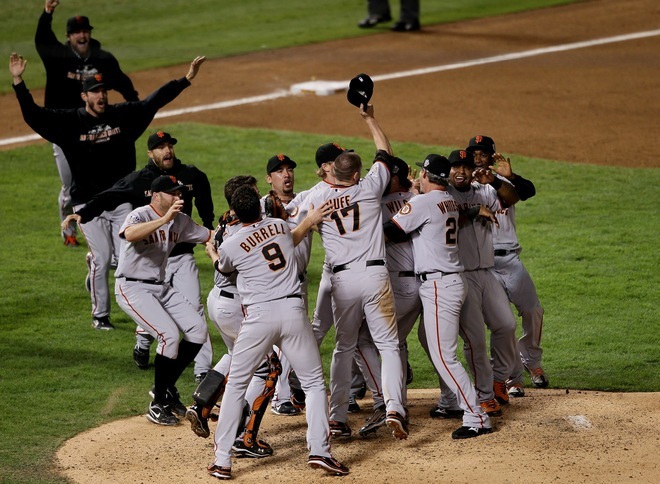 After the Giants won the World Series, Bay Area fans became very emotional because they could relate to this team. Everybody knew what it felt like to be the underdog and to have all the odds against them. The Giants knew how important they became to the city, so the team and the fans became united. Their winning formula seems to have shifted over the 49ers now. After many years of suffering, 49ers fans can finally watch quality football again. Hopefully the 49ers can surprise the Bay Area like the Giants did by making it to the Super Bowl. Both the Giants and 49ers based their game plans on strong defense, coaching, and chemistry, and this has lead to success for both teams. Along with their winning records, their underdog mentality becomes addictive and inspiring to fans. Sports teams can be powerful figures, especially when lead by misfits.